Welcome to A Very Krieger Christmas! On to the decor…For the past few weeks, I had been dreaming up ideas for neutral, glittery holiday decor. I tried to give up my red and lime green, but to no avail. Once I walked through Jo Ann’s and found red and white polka dot wrapping paper, all plans for neutral decor were lost. Polka dots, snowflakes with lots of sparkle! So…the jars didn’t seem to fit after I walked past them for a few days. Might have had to move them to a new location. Also…See those little twinkly lights. My new love- they are battery powered so no cords…Yeah! My goal for the tree was to have it dripping with colored balls. I’m a more is more kinda gal when it comes to decorating the tree. 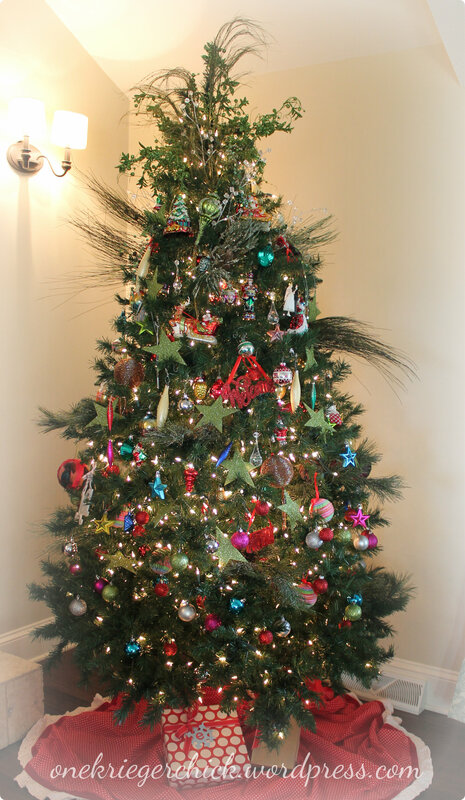 Thanks to shatterproof ornaments, even the bottom 1/3 is decorated…don’t look too closely though, as some may be rearranged or missing already. 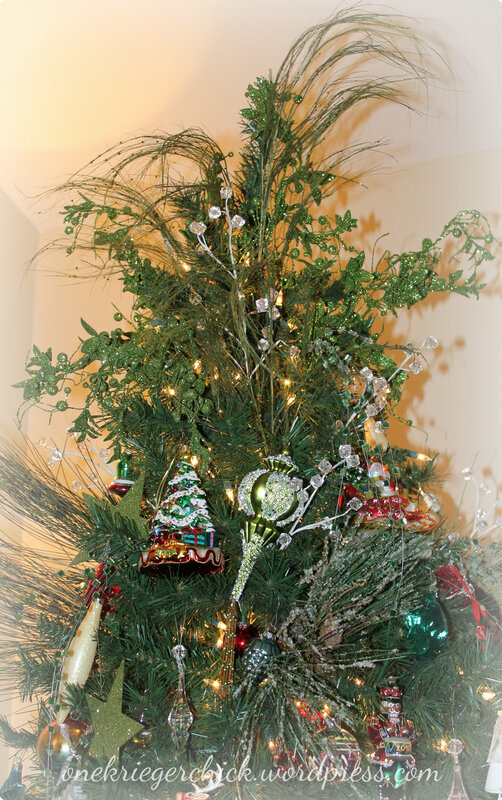 I used a favorite red polka dot tablecloth as a tree skirt and added a couple faux gifts. I’d love to stage the entire floor area, but it would only last a few minutes before being scattered about the floor. A close up…I love how it shines! 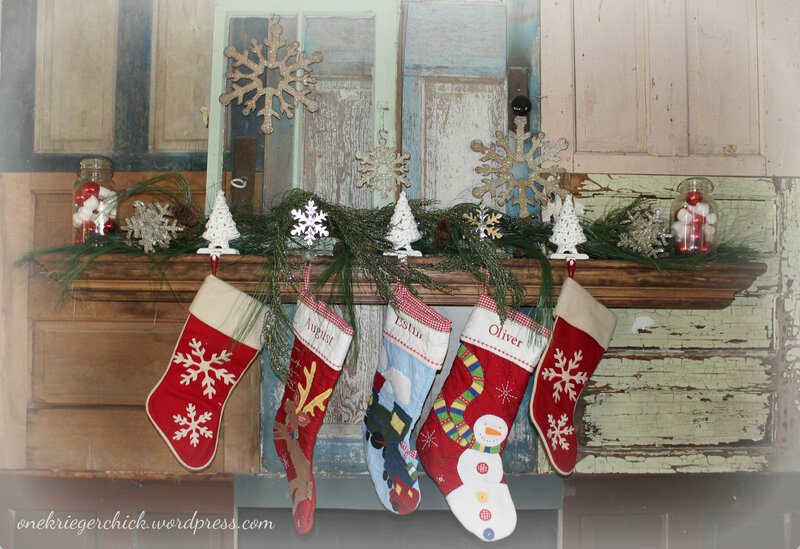 Come back soon to see the rest of my holiday decor…And my favorite cookie recipe! 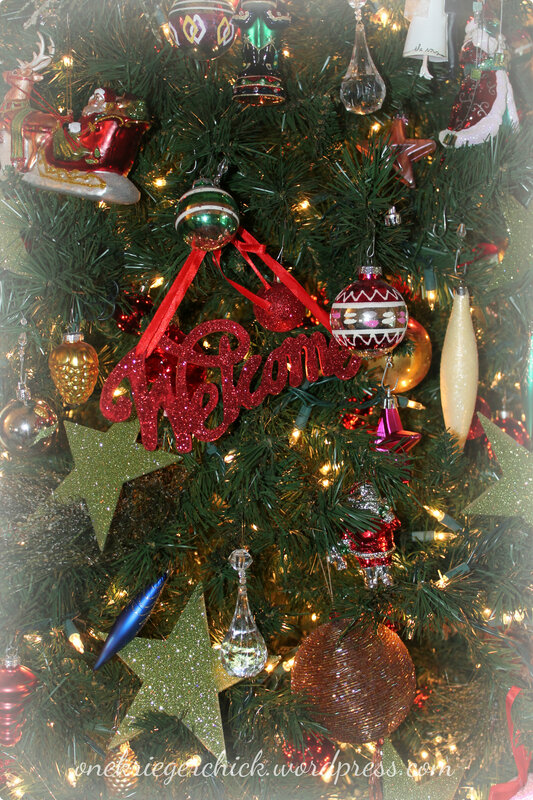 Posted in Uncategorized and tagged christmas, christmas mantle, christmas tree, mantle, tree topper. Bookmark the permalink.